Plovdiv, Bulgaria — ‘EE & RE’ (energy efficiency & renewables), ‘Smart Cities’ and ‘Save the Planet’ (waste management and recycling) will be again a platform for product launches and knowledge exchange between local and European key players. 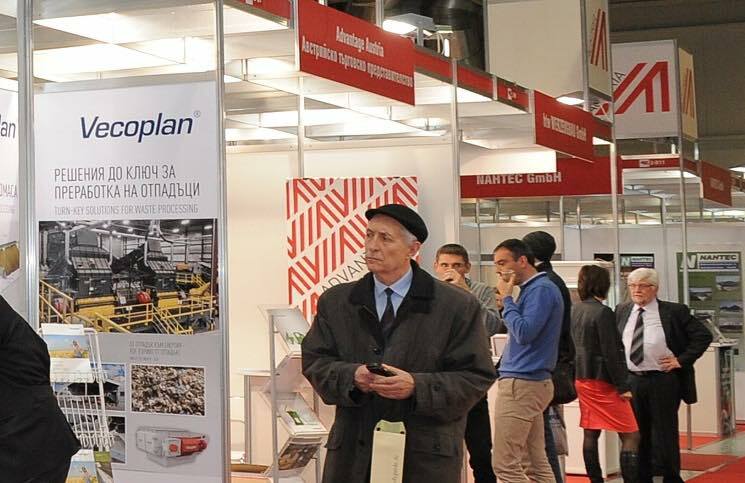 The three exhibitions and conferences are organized by Via Expo from 5 to 7 April in Sofia, Bulgaria. Exhibitors and speakers from 16 countries will take part. Nadine De Greef, Secretary General of FEAD, European Federation of Waste Management and Environmental Services, will visit the the conference. Via Expo interviewed her. Via Expo: For the first time, a FEAD representative will take part in the SEE Conference ‘Save the Planet’. What do you think for the progress of the countries in Southeast Europe in the field of waste management? Nadine De Greef: FEAD is the European federation representing the private waste and resource management industry with our membership covering 20 European countries. Indeed, the situation regarding implementation of waste legislation varies greatly in Europe. When looking at Southeast Europe, we see that there is still a lot of work required. At the same time, huge potential lies beneath. 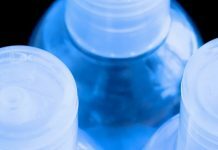 Bulgaria is still landfilling most of its waste, however the efforts to promote more recycling, for example on packaging waste, prove that the country is on the right track. And these efforts must be fostered further by the allocation of existing EU funds in full respect of the waste hierarchy. Moreover, to achieve a transition from a linear to a circular economy, efforts by all actors in the value chain are required. Hence, fair competition rules should be applied. Via Expo: What are the prerequisites for greater activity of the businesses and municipalities in this field? Legal certainty and fair competition rules are the main prerequisites to ensure that the private waste management sector makes the required investments in setting up a modern waste management infrastructure. What does that mean in practice? Nadine De Greef: One way of achieving that is to make sure that investments in waste management projects are made in line with the waste hierarchy. We therefore believe that the European Commission should provide guidance on the efficient use of structural funds. Another action is to ensure that Waste Management Plans are drafted in compliance with the targets that need to be achieved: e.g. put in place separate collection systems (paper, metals, plastics, glass and bio-waste), create sorting and recycling plants. Also, more efforts should be made to ensure that waste is diverted from landfills, including the use of economic instruments. Via Expo: What are your expectations from the new package of measures for the circular economy? Are there any changes in European legislation? Nadine De Greef: Moving from a linear to a circular economy is a phased process and it will not happen overnight. The new Circular Economy package comprises a series of important measures for the European Union to realise that paradigm shift. Only by addressing the full circle will we be able to change the existing economic model and create new business models. One-sided approaches and end-of-pipe solutions alone will not close the circle. Circularity has to begin with measures on eco-design (conception but also phasing out hazardous substances) and recyclability of products. This is something the policy makers will have to seriously consider while continuing their work on the Circular Economy proposals. Via Expo: What will be the highlights of your presentation? Nadine De Greef: Recycling plays a key role in rendering our economies more circular and sustainable, by recovering valuable raw materials and re-introducing them into the materials’ cycle. Recycling however can only be successful when it is a viable business model. It is therefore key to ensure that the right regulatory incentives are put in place so as to create resilient markets and demand for the secondary raw materials that are produced. The current market conditions are not in favour of boosting more recycling (drop of oil price/plastics recycling). There is a strong need to close the cost gap between virgin and secondary raw materials. Environmental and economic benefits (e.g. CO2 reduction) of recycling are acknowledged but not necessarily rewarded. . We therefore call for the European institutions to include a number of so-called “pull measures” in the new EC proposal such as minimum recycled content requirements for selected products, minimum green public procurement requirements, eco-labelling and lower VAT rates on products with recycled content. FEAD members consider that market forces alone will not be able to deliver this shift. Via Expo: What initiatives does the Federation plan over the next few months? Nadine De Greef: In the next few months FEAD will be extremely busy with exchanges at the European Parliament on the new proposals published by the European Commission. Its members will also direct their efforts towards the Council, who is involved in the ordinary legislative procedure. We also deem it very important to continue the dialogue with other stakeholders and, where possible, to elaborate joint positions. FEAD is also envisaging to organise an event in the European Parliament.